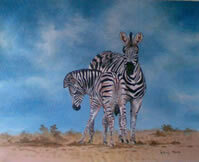 He is self taught and has been painting the African bushveld since his youth. Growing up in remote areas established his deep love and compassion for nature, conservation and wildlife. Anthony left Zimbabwe in his early twenties and emigrated to South African. Then travelled extensively throughout Africa on many safaris and has been a keen supporter of wildlife conservation foundations. 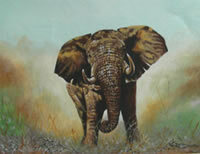 He has had numerous exhibitions locally throughout Africa and internationally. Most of his previous works belong in private collections and art galleries world wide. 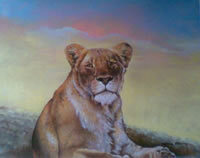 For years he has been digging deep into Africas heart to find natures secrets and share them with the world. 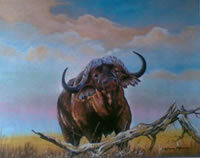 He discovered rare, savage beauty and has depicted this in his wildlife paintings. In the vast array of wildlife his greatest concern is the endangered species. Anthony still travels internationally and currently resides in Athens-Greece where he continues to paint in his studio.